Part of an ongoing series titled Not Reconciled, . . . Cairo stories examines how individuals are formed in relation to, and in reaction to, the politics of a nation-state and the structures of the cities they inhabit. Actors recite narratives written by Barry that are based on hundreds of hours of interviews she did with Cairene women about their relationship to the city. Several women discuss the increasing demands to dress with the utmost modesty, and Barry has left everything below the shoulders unrepresented. Their stories underscore the women's various negotiations with the systems, values, and pressures of the evolving urban landscape. ". . . Cairo stories." Take It or Leave It: Institution, Image, Ideology Digital Archive. 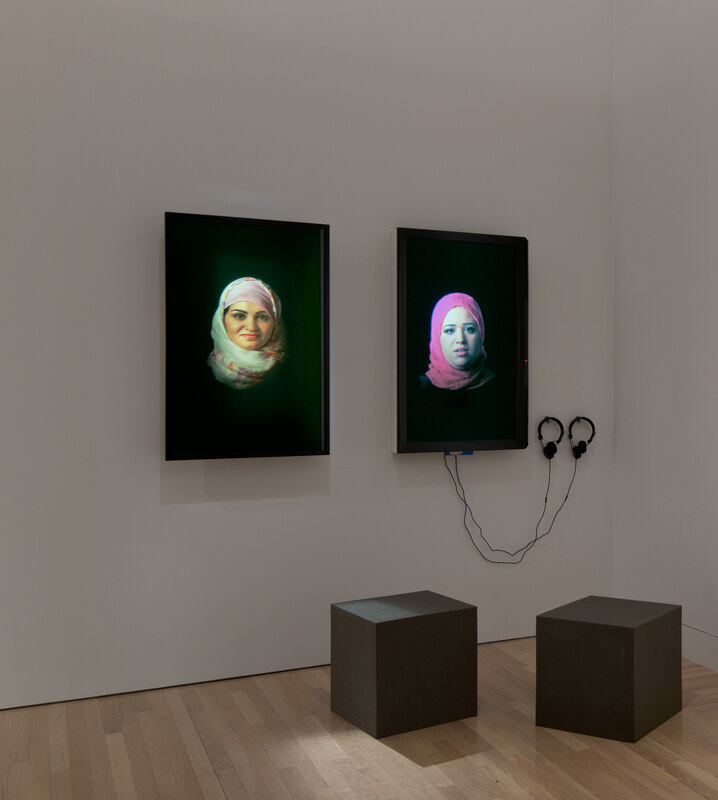 Los Angeles: Hammer Museum, 2017. https://​hammer.ucla.edu/​take-it-or-leave-it/​art/​cairo-stories/​.